Being creative and intuitive from the very beginning of your career usually leads to the direction of entrepreneurship. This pivot then leads to taking control of your life and positively impacting others. Dr. Bill Dorfman started as a dentist and is still one to this date. The amazing thing about it is he used this practice to build an amazing non-profit foundation called LEAP which has branched out as a yearly leadership program for kids. Dr. Bill shares his stories of borrowing money for a plane ticket to Switzerland to landing a cool job in Beverly Hills. Learn how you can create opportunities for yourself and master it to control your life. We’ve got an incredible guest, somebody that’s got a pretty magnificent pivot story; there’s actually several. My heart is very much aligned with this gentleman both because he’s an entrepreneur, he’s somebody that came from nothing just like I did. He worked his way up. Not so much working hard as really defying conventional wisdom, which is one of those things that is a common denominator on some of the great pivot stories that I’ve been able to share with all of you. It’s part of my own story. It’s just not taking things that other people say as the gospel. This gentleman really is, in many ways, a great example of that. What I also love is not only that he created this very successful cosmetic dentistry practice in his zone of genius, but then he was really called to service, to give back. That’s where our paths crossed. We have four kids, three daughters and a son. Our son, Max, has actually been a part of a program called LEAP, which is a leadership program for young people. It’s a not-for-profit foundation that was started by this gentleman. He’s got an incredible team of people that support him and incredible business leaders from all over the world that come and support this foundation. 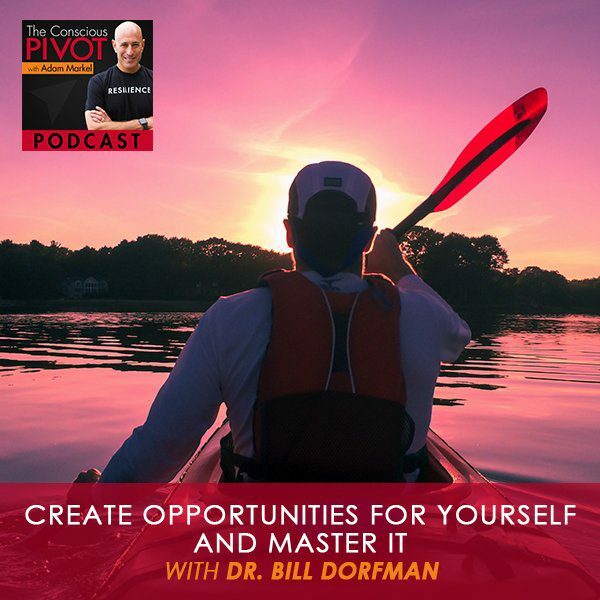 I want to welcome Dr. Bill Dorfman to the show. Bill, tell us just a little bit about your background. We have a lot in common, but I’d love to hear from you how you see yourself at this point in your life, what’s important to you, and what you want people to know about your own experience in business as someone that has created something that is changing the world, starting with our adolescents. Bill, thank you so much for joining us. Thanks. In short, I’m a dentist. I started as dentist. I’m still a dentist. Along the way, I didn’t just practice dentistry. I used dentistry as a springboard to a lot of other amazing things in my life. I’m a New York Times bestselling author. I started a company with a few friends called the Discus Dental, which was the largest manufacturer of tooth whitening products in the world. We did Nite White, DayWhite, Zoom! and Brite Smile. We sold that company to Philips in 2010. I was very fortunate to be asked by ABC to be on a primetime TV show called the Extreme Makeover. Now I’m on a CBS show called The Doctor. I’ve done a lot of things that most dentists don’t typically do. One of the things that we started early on at Discus was giving back. We gave over a million dollars to the Children’s Dental Center in Los Angeles. We helped raise over $38 million for children’s charities with Garth Brooks and the Smiles For Life Foundation. Personally, I started a foundation called LEAP, a non-profit 501(c)(3) that your son has attended. It’s an amazing program. It’s a one-week long summer program every year at UCLA where we get about 400 students from all walks of life. We bring them into this and we bring in great business leaders. We bring in doctors and lawyers and entrepreneurs and entertainers and politicians. This year, we’ll have Eric Garcetti, Mark Wahlberg, Anthony Hopkins, Paula Abdul, and Julianne Hough hopefully, and a few others, maybe even that guy that invented the Tesla. It’s going to be a great time. It’ll be July 22 to the 28th at UCLA. It’s called LEAP. If you ever want more information you can just go www.LEAPFoundation.com. We’re signing up students now. We have about 300 students signed up. We have room for about a hundred more. If you do want to go, now’s the time to do it. In addition to that, I have my beautiful three young daughters there. My twins are 19, Anna’s 24. She graduates from Occidental. I’m very proud of her. Charlie goes to USC and Georgie goes to Wisconsin. That’s my life in a nutshell. Don’t wait for opportunities. Make them. I would love for us to dive right into your pivot story, where do you distinguish yourself as an entrepreneur initially in dentistry. A lot of people are wanting to take more control of their lives, to live life on their own terms. Part of that involves entrepreneurship. That seems to be the great direction. To be in that space, you’ve got to be incredibly creative. You did something very creative and very intuitive at the beginning that allowed you to distinguish your practice. That’s the first pivot. The second is really in regard to LEAP, which has a profound impact on so many young people, including our son. Let’s start with your practice of dentistry to begin with. It’s a simple story. I graduated dental school. I was 24 years old. I was one of the youngest graduates ever to finish. I grew up in a pretty impoverished area. I never got to travel. I never got to go anywhere. Even though I was going to be a dentist, I wanted to see the world and I looked for an opportunity that would let me see the world. There was this clinic in Switzerland. I’d never been to Europe. I didn’t speak the language. I applied to this. There were over 400 applicants. They should never have hired me, but I was probably the most persistent applicant they ever had. I had twenty letters of recommendation. I called the director every week. When I realized there’s no way in the world this guy’s going to hire me, I asked him if I could take him to lunch. When I did, he hired me. You didn’t just take him to lunch. There’s more to the story. What did you do? Here’s the crazy thing. I was poor. I didn’t have money. I borrowed money to buy an airplane ticket to fly there because I felt like if he met me, at least I’d be a living being in front of him, as opposed to a piece of paper, and it worked. He hired me. I’ll tell you the two things that I have lived by and that I try to expose young people to. Number one, don’t wait for opportunities. Make them. If I had waited, I would have never gotten to Switzerland. Don’t wait for opportunities. Make them. Number two, even more important, when you do get an opportunity, don’t take it. Master it. There’s a big difference. ABC gave me the opportunity of a lifetime to be on primetime TV. This isn’t the first time a dentist ever got to be on primetime TV in a positive way. This wasn’t Little Shop of Horrors or Marathon Manor any of those crazy things. I actually got to be a real dentist doing real dentistry, changing people’s lives. Create Opportunities: Being successful means I now have an opportunity to help other people be successful. When that happened and I watched the first episode, I wanted to throw up. I was so bad. I was so unprepared for this. I’m lucky they didn’t fire me right off the bat. Instead of sitting there and crying like a baby, I took classes. I took acting classes, hosting classes, teleprompting class. I hired a media trainer who literally sat there and beat me up. She really cracked the whip and made me realize the things I needed to do in order to be more effective because my presence on that show directly correlated with an increased growth in our company. Our sales doubled the first year I was on that show, and then doubled again. I knew that if I could get the message across in the right way, it was great for our business. Instead of just taking that opportunity, I wanted to master it. I wanted to be as good as I could be and I worked really hard. I was never somebody who wanted to be on TV. That was never my goal. My goal is to be a dentist, but when I got this opportunity and I realized it could be so much more. One of the things that my company did from the very inception was to give back. We gave over $1 million to the Children’s Dental Center in LA. We’ve raised $38 million plus for Smiles For Life with Garth Brooks. This is a charity that gives back to children’s charities and hospitals, St Jude’s Hospital, and a lot of others. It was a really great road. For me, being successful means I now have an opportunity to help other people be successful. That was the greatest part of success. If you can raise everybody else’s life with yours, that’s the best thing. That’s why I became so passionate about LEAP. We started LEAP ten years ago. I’ve seen how this program has changed kids’ lives. I’ve seen how they’ve gone out, become successful, and gotten married and started families, and done all these things that they wanted to do. The thing that resonates the most is teaching young people to do what I did when I started my practice, which is copy genius. You started LEAP. You had this desire to really impact the lives of young people. One of the things that is really important is that we model. You have three kids and we have four kids. Our kids hardly ever listen to us, but what they do is watch. They’ve always watched everything we do. I think that’s the way parenthood is. Your kids watch and you model and they follow. They follow what you do versus what you say. One of the things that are really impactful is that, as a teacher, as a leader, you’re modeling what you’re sharing and what you’re teaching that’s worked for you. LEAP is a foundation. You’ve got 400 or so kids that come from all over the world to stay on campus at UCLA and get this week-long immersive experience. Max has come back every year with a notebook filled with notes in all kinds of things. He really loves the process, loves the program, and idolizes a lot of the people there, including yourself. One of the stories that is really profound is the way you started out in your own dental practice. There is a process that you teach that helps young entrepreneurs get started. It’s a thing that you did when you were going to go start a cosmetic dentistry practice in probably the Mecca or the epicenter of cosmetic anything, which is Los Angeles, California. Tell us a little bit about how it was that you broke into that field and what it is you’re teaching and modeling for those students in regard to that process that you used to distinguish yourself. When I came home from Switzerland, I had an opportunity to work in the Beverly Hills area. The last thing that Beverly Hills needed was another cosmetic dentist. I did some research and I found the five most successful cosmetic dentists in LA. I called them up and I said, “I’m a nobody. I just graduated dental school. I don’t know anything. I don’t know anybody. Can I come in and shadow you?” They all said yes. I sat there like a sponge and soaked up everything that went on in that office, the good, the bad, the ugly, everything. I tried to never do the bad or the ugly, but focus on the good. I took the best of five practices and made one practice. I used that as my starting point. From there, I started trying a lot of new things that they weren’t doing and weren’t comfortable doing. For instance, advertising. 30 years ago it was considered unethical for dentists to advertise. I’m like, “Why?” I’m in Century City. There are 80,000 people that work within a five-block radius of my office. We know that 50% of the general population doesn’t have a regular dentist. That means there are 40,000 people that were within walking distance to my office that needed dentists. What’s wrong if I tell them I’m here? Create Opportunities: The idea behind LEAP was to give students an ability to meet great successful people and copy the genius that they had that made them successful. I didn’t have a lot of money to go advertise so I made flyers that cost me $350. I had all my employees go out to Century City and pass out flyers. They went up and down the towers. You can’t do that today because of 9/11, but back then you could. I was getting 80, 90 new patients a month just from that. That’s called external advertising. When those people come in, we kill them with kindness. If a patient comes into your office and you meet every expectation they have, they walk out satisfied. If you exceed those expectations, on average, they’ll tell ten people. With social media today, instead of ten people, they’ll tell hundreds and thousands. Back then, we didn’t have social media. They come in and then we ask them to send in their co-workers. 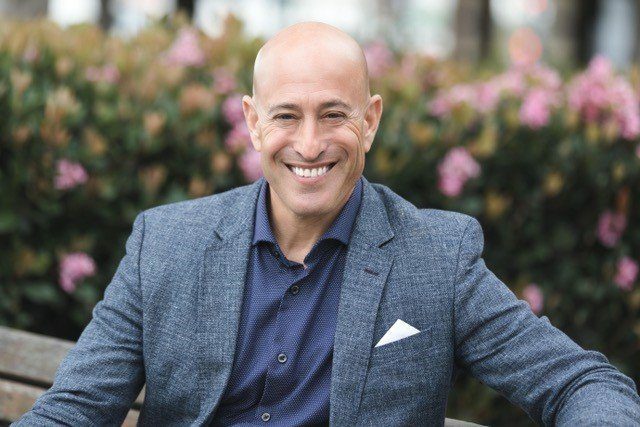 My practice grew and within a year or two, I had the busiest practice in all of Beverly Hills in Century City, and it just kept growing from there. Let’s go back to LEAP. Tell us a little bit about the structure of the program and where it is that wisdom and experience in business shows up in that program. I’ll go back a little further to how LEAP started. There was a program prior to LEAP that we’d bring in entrepreneurs to share their story. They would have me come every year because as a dentist, my career is not your typical dental career. I would talk to them about being a dentist, about starting up Discus Dental, about all the charity work that we did. It was an amazing program. The founder of that program passed away. Out of all the philanthropic things that I’ve been involved in, that was the one that was nearest and dearest to my heart. I thought, “This can’t die. It needs to live on.” We recreated it. We rebranded it. We made it a 501(c)(3) non-profit and we launched LEAP ten years ago. The idea behind LEAP was to give students an ability to meet great successful people and copy the genius that they had that made them successful. We get these people to come and share their stories with the students. In addition to that, we teach them a lot of core skills. We teach them networking, study skills, and communication skills. We teach them etiquette, job etiquette, dating etiquette, eating etiquette. There are a lot of things that we cover in this program that you just don’t get in any other program. This program is solid. It’s ten years long and it’s going to keep going, if I have my way, forever. The thing I love about the program is that students will come in first as a student, then they’ll come back as a coach, then they’ll coach a few years, then they’ll come back as a speaker. Whereas in the beginning, I probably delivered 80% of all the content in the program, now, I probably only deliver about 20% or 30%. I’m having the students take the program over. In fact, the Executive Director of LEAP, Charlie Gallagher, was a student ten years ago. At sixteen, he came to the program. Now he’s running the program. It runs full circle. It’s like if I tell my kids what to do or you tell your kids what to do, they’re probably not going to do it. If I tell your kids what to do or you tell my kids what to do, they might do it. If ten of their friends tell them what to do, they will do it. The idea behind LEAP is to surround kids and young adults with other like-minded kids and young adults to encourage each other and help each other grow. The genesis of it is that you want them to copy genius. You’re surrounding them with genius of all kinds, including genius among their peers. When they’re seeing it reflected back in the presence of somebody that’s around their age or has been sitting in their seat recently, it’s pretty impactful. The program culminates on a Friday with something we call a mentor workshop. We bring in a hundred different professionals, doctors, lawyers, fire fighters, psychologists, actors, writers. The kids get an opportunity to sit at a table with that person for twenty minutes. We rotate through cycles. It’s like speed dating. They can just ask questions. “What do you like about your job? What don’t you like about your job? What would you do differently?” It’s pivotal. It’s been an absolute pivotal moment for people to learn about not only these nuggets that you shared with us about how you distinguish yourself early on. There’s no question that the tenacity that you showed is a big deal. To me, that’s in the recipe for success for myself. The fact that you would fly to Switzerland on borrowed money to have lunch, it was a catalyst for getting the job and also for your growth. Then to come back to ask five of the most successful cosmetic dentists whether you could shadow them, what if they had said no to you? I would have gone to the sixth and seventh. One of the things that young people need to realize is all you have to do is ask. The most powerful word in the English language has three letters: A, S, K.
If one of those five guys had said no, I go to the sixth or the seventh. I had nothing to lose. The only time you lose is when you don’t ask. The most powerful word in the English language has three letters: A, S, K.
There’s humility in it as well. A lot of the people in community are pivoting in different areas of their life, and probably 83% of the pivots are business related, money related. To have humility, as in to ask for support, to be willing to reach out and ask somebody who’s doing it well or is doing it the way you think you might would like to do it and ask them, “What’s working? What’s not working? What would you do differently?” or to just be able to observe and shadow is so impactful. I appreciate that you share those nuggets with us. What’s the age range for LEAP? LEAP is 15 to 25. Some of the kids are actually older. It’s one week at UCLA. The price includes everything, the housing, the meals, everything. You just drop them off on Sunday. We give them back to you on the following Saturday. It’s life changing. We get tens across the board from the ratings by the kids. They love the program. I was a middle school English teacher for a couple of years. I can say one thing about kids is they will not lie. When you get a rating of a ten from them, it means a ten. It’s not, “Dr. Bill, he’s such a nice guy. I just want to make them feel better.” It’s none of that BS. That’s just the way they’re wired. Give us the organization’s website so the people who want more information can go right there. It’s www.LEAPFoundation.com. The program is July 22nd to the 28th at UCLA. If you fly in, we will pick you up at the airport and we will bring you right to the campus. Go on our website, you’ll see all the stuff you get. It’s incredibly diverse because you’ve got students coming from all over the world. It’s more than checking it out. If you’ve got a kid that’s 15to 25 or plus, and you don’t want them living in your basement at some point, you want them out there. They’re doing incredible things in their life. This is something you want to get them involved in. We support it. We see it in Max. There’s been a huge shift and he’s so enthusiastic about it. Dr. Bill, thanks so much for being on the show.